Comment moderation and screening of participant input can be time consuming during engagements where participant input must be screened before it is published. 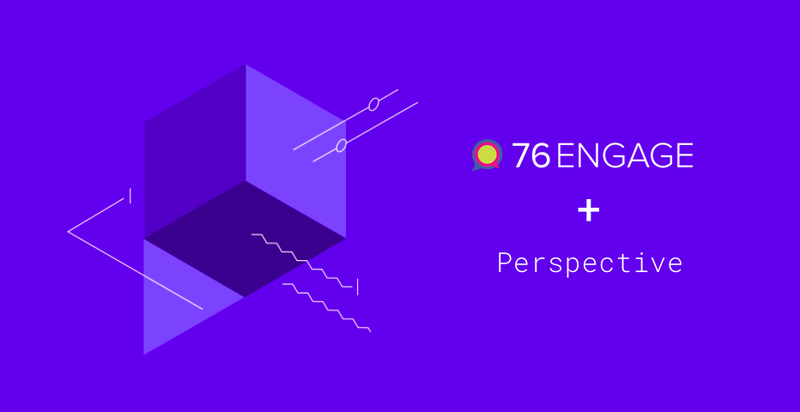 To make life easier for moderators, we have integrated the machine learning Perspective API into 76engage. Perspective is an API that makes it easier to host better conversations. The API uses machine learning models to score the perceived impact a comment might have on a conversation. Moderators have now the ability to automatically publish all comments except those flagged for review by the technology. Flagged comments are placed in a moderation queue for moderators to review. In cases where the technology isn’t sure as to whether the comment is appropriate or inappropriate, the system errs on the side of caution, placing participant input into the moderation queue until a human has a chance to assess it. When implementing this functionality, we have made sure that no personal information is transmitted to the Perspective API. We have also set the API to ask not to store the content being scanned. Other technologies that work behind the scenes to keep conversations safe and secure. We will continue to work to make 76engage the best online engagement platform in the market. Want to see this in action? Get in touch for a personalized demo.